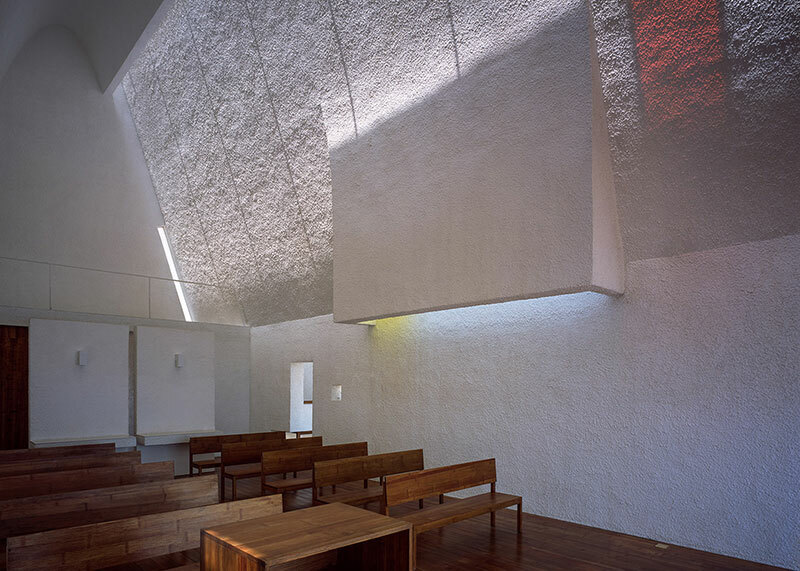 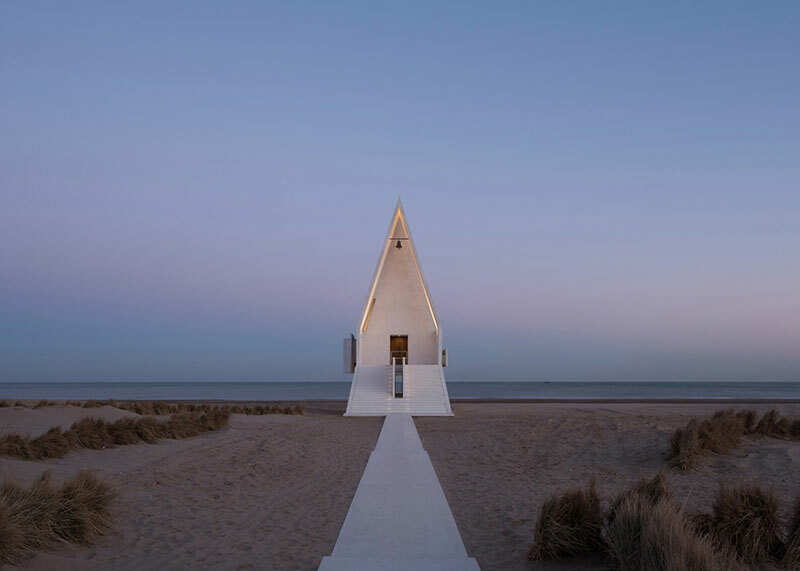 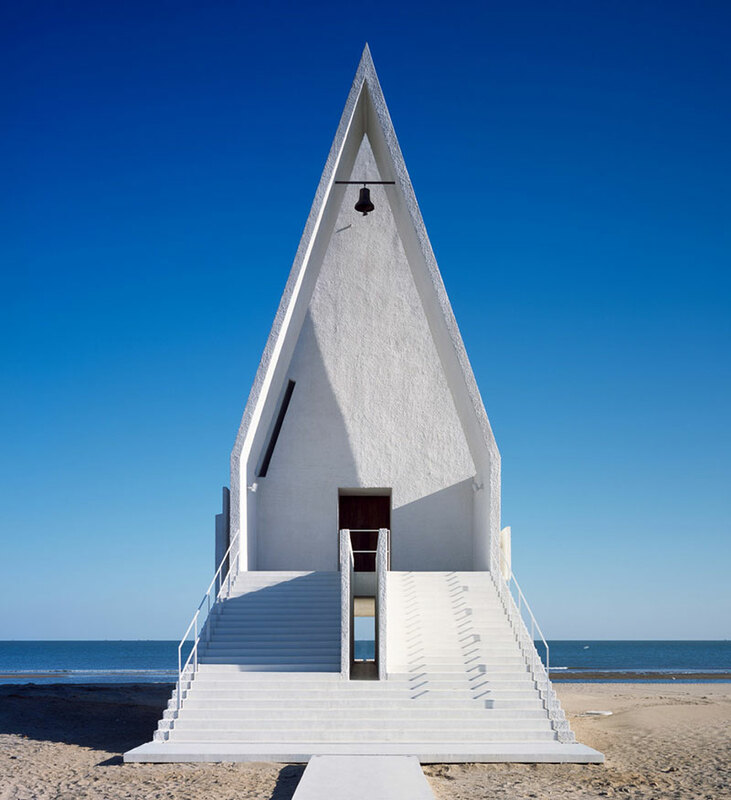 A spectacular chapel built on the seashore by Beijing-based Vector Architects. 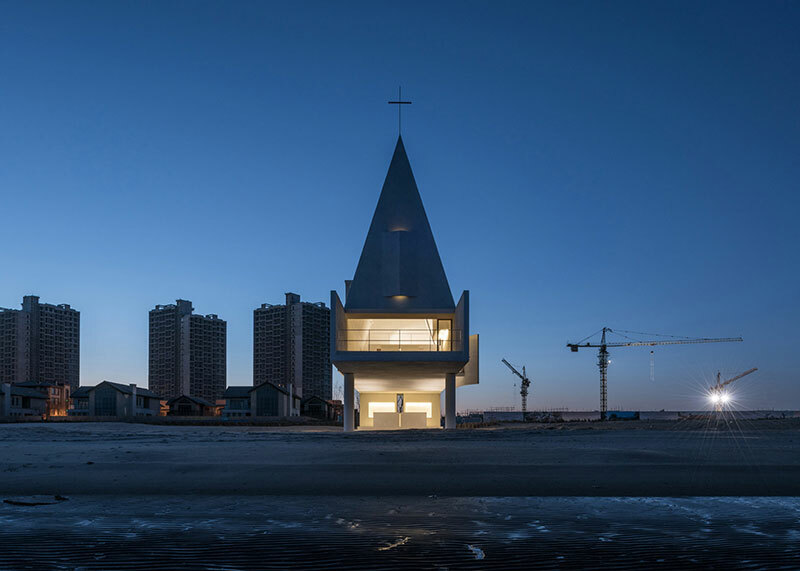 The chapel is located in Beidaihe, a town east of Beijing and is the closest building to the sea anywhere. 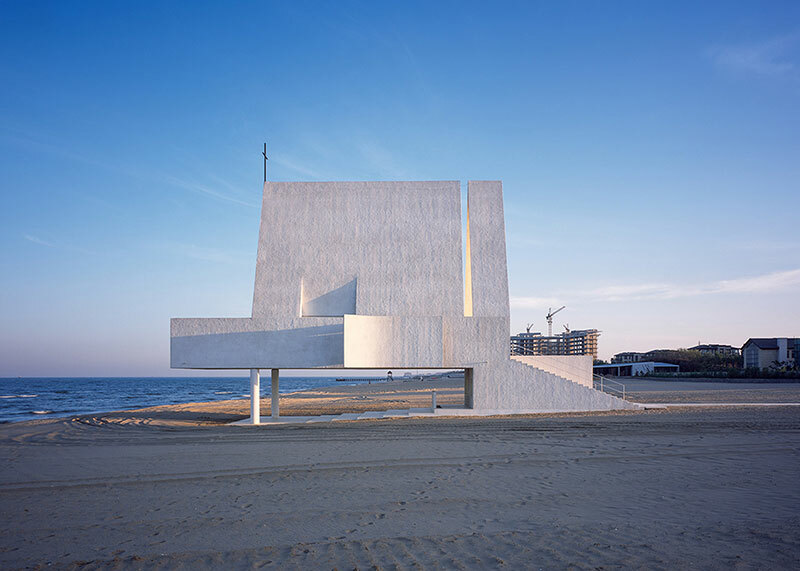 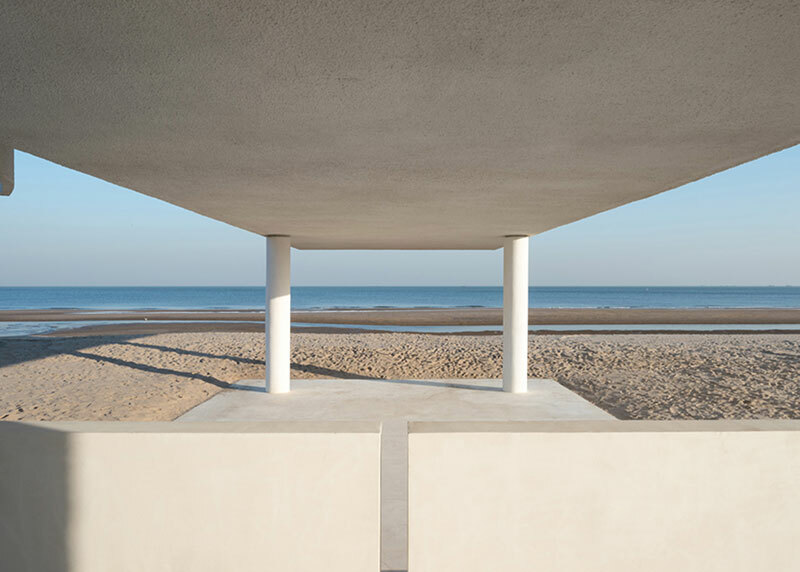 Since the building is near the shoreline, the chapel is raised on concrete columns so when the tide rises, the building is completely separated from land. 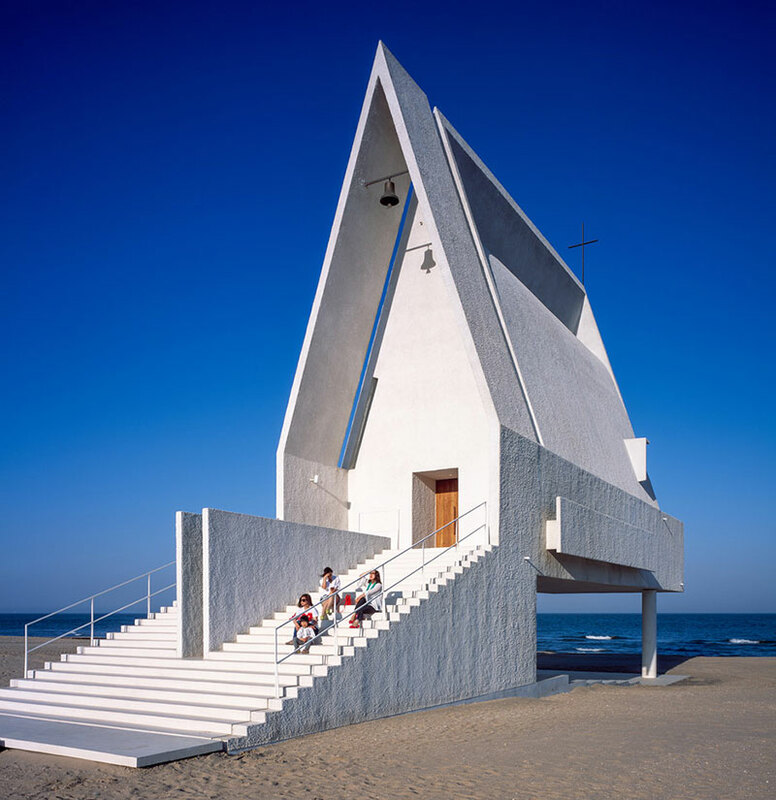 The architects imagined the chapel as "an old boat drifting on the ocean a long time ago. 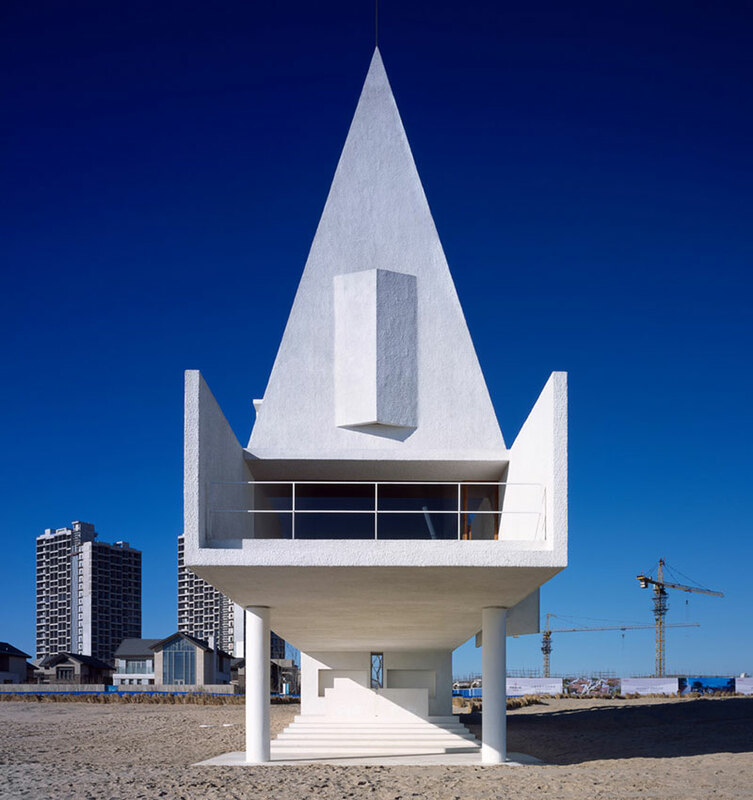 The ocean receded through time and left an empty structure behind, which is still lying on the beach." 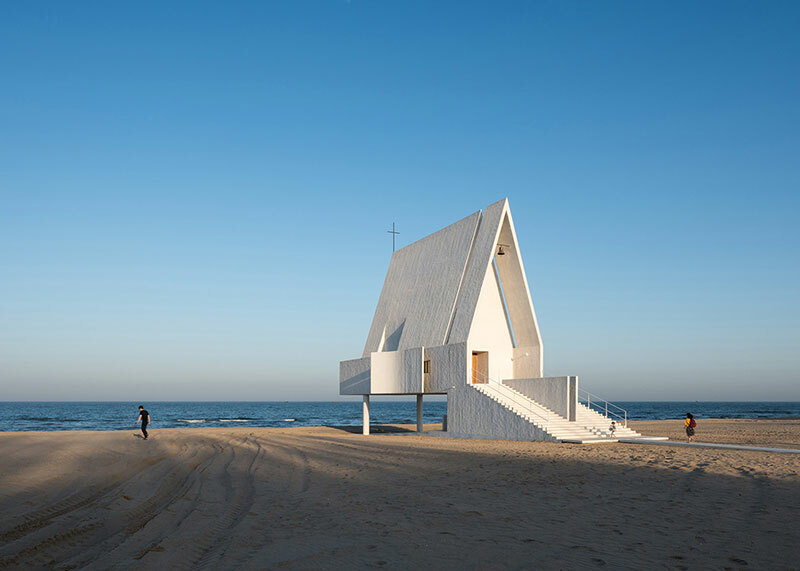 The chapel has a steep roof that functions as a bell tower, a balcony facing the ocean, and concealed stained-glass windows. 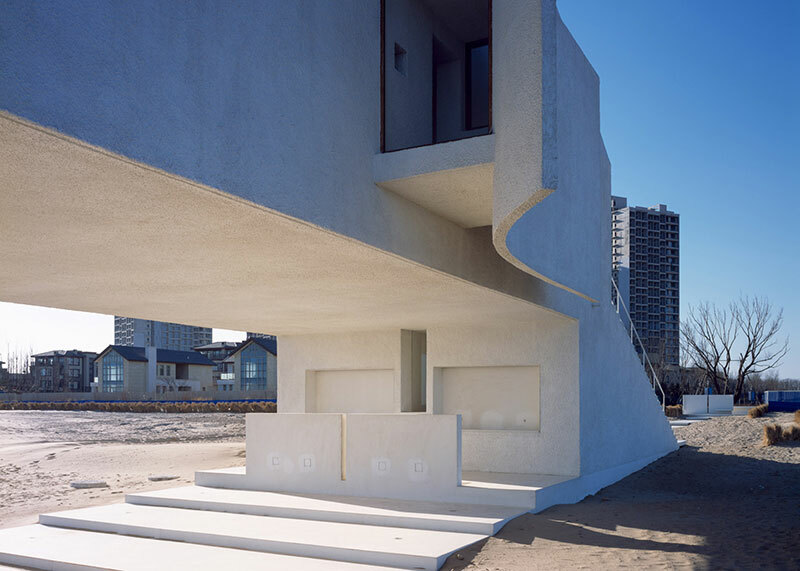 The entrance is a grand staircase, which doubles as an informal seating area, with a 30-metre-long pathway that leads up to it. 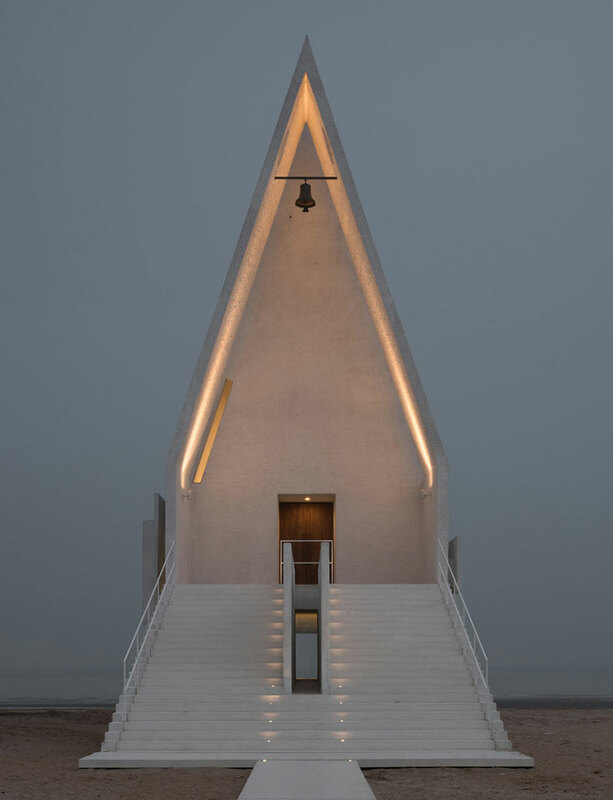 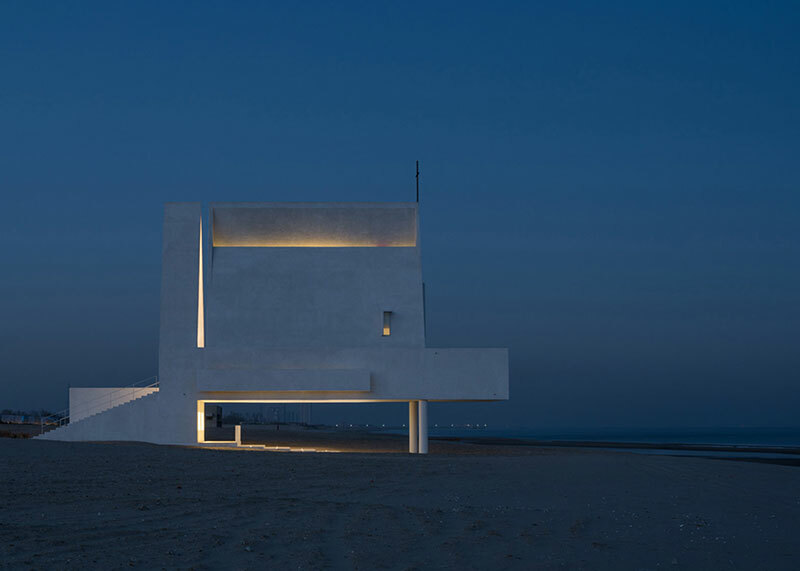 A spectacular chapel built on the seashore by Beijing-based Vector Architects.